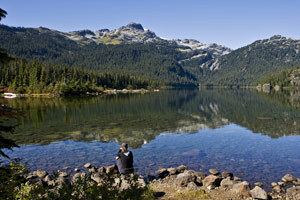 For all you need to know about visiting Whistler and the Sea to Sky Corridor, visit Whistler Traveller Magazine! But just because summer has arrived, doesn't mean that skiing and snowboarding are over. Blackcomb Mountain now boasts one of the longest ski seasons in North America, staying open until mid summer, conditions permitting. If you enjoy golfing, there are 3 fabulous golf courses located in Whistler Resort, two more in nearby Pemberton, and two alongside the Sea to Sky highway on your way to Whistler. In Whistler Resort, enjoy the links at the Arnold Palmer designed Whistler Golf Course, Nicklaus North, which was home to the 1997 Skins Tournament, or the Chateau Whistler Golf Course. 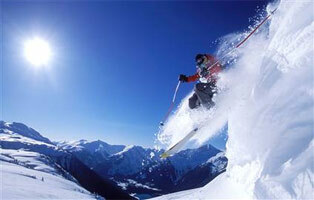 In Pemberton enjoy the Big Sky Golf Course, or the locals favorite the Pemberton Valley Golf and Country Club. Along the Sea to Sky highway on your way to Whistler, you will pass the Furry Creek Golf and Country Club, followed by the Squamish Golf and Country Club. If you want to get a little (or a lot) wet, this resort hosts a number of water related activities and sports. Including spectacular Lakes and Beaches. Experience the thrill of the shooting through the rapids with one of the rafting or jet boating companies, or rent a canoe or kayak and take a leisurely paddle along the River of Golden Dreams. If fishing is more along your line, find out why people were coming here long before it was a World Famous Resort. 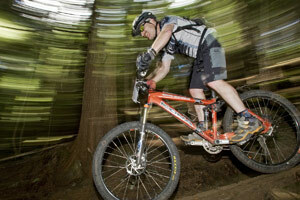 There are also a number of tours that you can take to experience the Whistler Valley.....from mountain biking the valley to walks along the Valley Trail. Don't miss the opportunity to check out our ATV and Four Wheel drive tours. 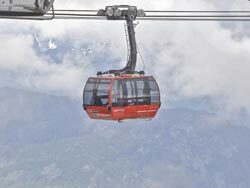 The PEAK 2 PEAK Gondola travels across the valley between the two, transporting winter skiers and snowboarders and summer hikers and sightseers between Whistler Mountains Roundhouse Lodge to the Rendezvous Lodge on Blackcomb Mountain. While the two mountains have been connected at their bases for years and it was possible to ski both in a day, the gondola makes it easy by travelling the 4.4 kilometres (2.73 miles) between the two mountains in just 11 minutes. Its an engineering feat and a world record-breaker: the unsupported cable span between the two middle towers is the worlds longest at 3.024 kilometres (1.88 miles). Consistently rated as North America’s #1 resort, Whistler Blackcomb is proud to be presented with the highest resort rankings amongst other ski destinations. For online equipment rental bookings and discount rates, contact Spicy Sports or for door to door delivery to our lodge, book with Spirit Bear.